When you fell in love with someone back in your childhood days, you used to write her name down on your notebook over and over. When you come to know that you will become a parent soon, the first thing you consider is the name you’ll give to your baby. Names have huge significance in our lives; they are the way of expressing our love. We are well aware of the importance of the names and their meaning so we have prepared this film for the people, keen on sharing their love with the whole world and prone to keeping an eye on the names of their beloveds. 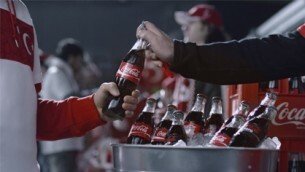 Our campaign is also takes part as a worldwide campaign of Coca-Coca “share a coke”.